Pets Rescued/Returned measures the percentage of adoptable cats and dogs received by Animal Care & Control that are live-released - either by being returned to their owners, or transferred to other agencies for adoption. This measure may exceed 100% if feral cats (which are not adoptable) are live-released to barn homes, natural areas, or cat sanctuaries. Measures the percentage of Edmonton residential neighbourhoods that have been street sweeped as part of the yearly neighbourhood street sweeping program. As mandated in City Bylaw (###), 100% of residential neighbourhoods are to be swept in the (six?) week period from (date) to (date). 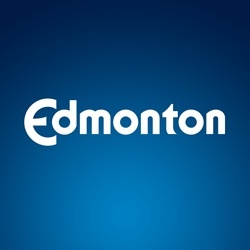 Major Attractions Attendance measures year to date attendance at major City of Edmonton attractions which include Fort Edmonton Park, John Janzen Nature Centre, Muttart Conservatory and the Edmonton Valley Zoo. The Edmonton Economic Diversity Index measures the diversity of Edmonton’s economy by comparing the city’s employment share by sector to that of Canada’s. Beginning in 2016, the City’s municipal census will include a question to gauge Edmontonians’ employment by sector, based on the North American Industry Classification System. As the City has limited control over employment and the labour market, this index is considered an indicator. Until data is available in 2016, the Edmotnon Census Metropolitan Area (CMA) Economic Diversity Index will be used.The Edmonton CMA Economic Diversity Index is calculated by comparing employment share by sector data for the Edmonton census metropolitan region to Canada’s employment share by sector. This data includes Edmonton and the surrounding municipalities that form the CMA.